Gone are the endless queues, cheesy activities and impersonal experiences of traditional cruises. Small ship cruises offer authentic experiences to the world's most interesting destinations. Plan your trip today with Wild Earth Travel, the small ship cruising specialist. I have just returned from a wonderful trip to the Antarctic Peninsula on board the “Sea Adventurer”...booked through Ellen at Wild Earth Travel. I am still reliving many of the amazing sights on that trip but enjoyed reading through what you have to offer for perhaps another trip in the future! Have also checked out your new website – well done. 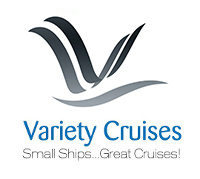 Established more than 30 years ago as the pioneers of the small ship cruising industry, our years of experience makes us uniquely placed to find the cruise that best suits you. We've spent years aboard many small ships leading cruises, operating and designing itineraries and experiencing the most interesting parts of the planet. Our extensive experience and passion for this style of travel ensures you are able to speak directly with an expert. We carefully curate our selection of small ship cruisesk our travellers enjoy experiences that deliver more, with more time ashore, more interpretation of the destination visited and more freedom to explore. Our team of small ship cruise specialists are very well travelled. Between us have explored Antarctica over 100 times, led small ship cruises all over the world and experienced the most unique and fascinating corners of the planet, and we love sharing our experiences with you. Our collection of small ship cruises is constantly growing, we now feature over 1200 cruises aboard more than 80 small ships to choose from. As pioneers of the small ship cruising movement over 30 years ago, our insider knowledge of the industry means that there is barely a ship or a destination worldwide that we haven't experienced. We offer you the ability to pay in the original currency of the ship operator, meaning that you don't pay more in currency buffers. 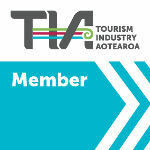 Choose to pay in USD, Euro, GBP, NZD or AUD. As a long established Australasian company, you can be assured that you are in safe hands as our team of specialists guide you through the booking process. As you prepare for your cruise, we will be in touch to ensure that you have everything that you need, from packing lists to suggested reading lists to pre and post transfers and accommodation. For some cruises, there will also be the options to add on extras such as the Rocky Mountaineer train, or explorations of Machu Picchu and the Amazon.